Polish Polar Station in Hornsund, Spitsbergen. Arctowski Polar Station in Antarctica. The Polish Polar Consortium currently consists of 16 scientific institutions: 11 higher education institutions and 5 research institutes. The Consortium functions in a close cooperation with the Committee on Polar Research, Polish Academy of Sciences which was a mentor of its formation. The Association of Polar Early Career Scientists (APECS) and the Multidisciplinary drifting Observatory for the Study of Arctic Climate (MOSAiC) Project are pleased to announce that we are now accepting applications for the MOSAiC School 2019. MOSAiC will be the first year-around expedition exploring the coupled Arctic climate system. It has been designed by an international consortium of leading polar research institutions under the umbrella of the International Arctic Science Committee (IASC), led by the Alfred Wegener Institute, Helmholtz Centre for Polar and Marine Research (AWI), Arctic and Antarctic Research Institute (AARI) and the University of Colorado, Cooperative Institute for Research in Environmental Sciences (CIRES). 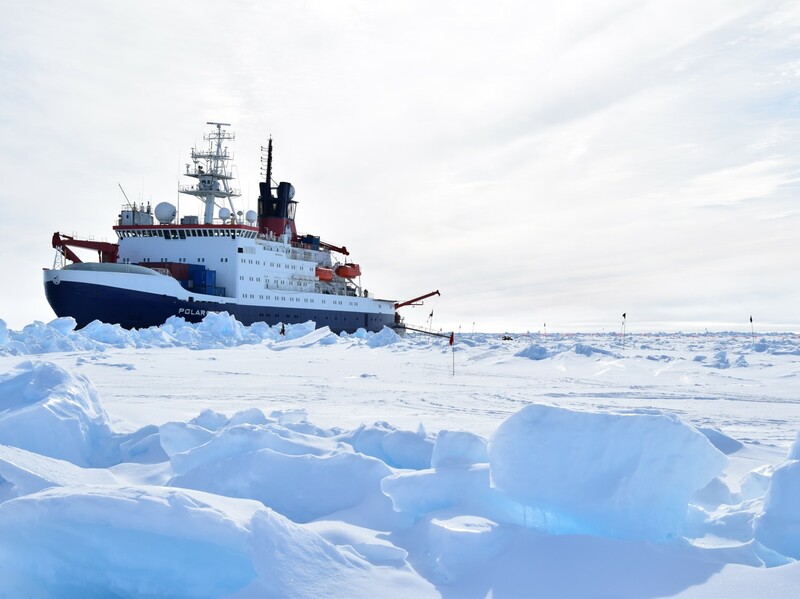 During the first leg of the expedition, the MOSAiC partners and APECS work together to offer the MOSAiC School 2019 on board of the support icebreaker RV Akademik Fedorov. Costs: There will be no registration fee for the MOSAiC School 2019. The only costs participants will have to cover themselves are the costs of their travel to and from Tromsø, Norway. Should travel support become available, the MOSAiC School organizers will contact the selected participants. However, travel support cannot be guaranteed at this point. The MOSAiC School 2019 will be open to up to 20 early career researchers (advanced graduate students and PhD students with no to limited experience with ship-based research). For questions please contact mosaic-school@apecs.is. We are receiving a lot of similar questions at the moment and so we have set up answers to those in the Frequently Asked Questions (FAQ) section. Please check this section first if your question is covered there and only contact us if your question is not covered yet. IASC Fellows are doctoral or postdoctoral researchers who actively participate in selected activities of the IASC WGs. Fellows are expected to contribute scientifically but also to help organize specific activities and to coordinate the reporting to the IASC Secretariat. Thus, the Fellowship Program provides the opportunity for ECSs to become involved in leading-edge scientific activities at a circumarctic and international level, to build an international network, and also to develop management skills. The level of involvement very much depends on the Fellow’s interest – the more you invest, the more you get out of it! For more information, please see http://iasc.info/capacity-building/fellowship or contact the IASC Fellowship Coordinator Maja Lisowska (maja.lisowska@us.edu.pl) or the APECS Executive Director Gerlis Fugmann (info@apecs.is). Current IASC Fellows are planning on running a webinar in November to showcase their experience as IASC Fellows and some of the projects they have been able to work on. More information will be made available over IASC and APECS’ email lists. You can join for the IASC email list here or become an APECS member here. If you are interested in this amazing opportunity then please fill out this application form. If you have problems accessing or submitting the form, please contact the APECS Executive Director Gerlis Fugmann at info@apecs.is to receive a Word version of the form. The selection of candidates is coordinated by APECS and will be only based on the material you provide in the application form. So be as specific as possible. Applications will be reviewed according to multiple criteria including your research background and the quality of your statement of interest of why you would like to be come an IASC fellow. Top candidates will be suggested to the WG Steering Committees, who will decide on their 2019 IASC Fellow. The application deadline is Monday 19 November 2018 at 13:00 GMT. Late applications will not be considered.Successful applicants will be notified before the end of the year. Representatives of natural sciences, in the era of rapidly growing number of projects and plans for the polar research, are encouraged more than ever before to reflect upon the significance and relevance of the scientific research in polar regions for the wider society. This is linked with the other question, namely, how the polar research is perceived and understood by the community, by decision makers, by media and opinion trendsetters. To stimulate discussion about both topics we would like to examine the relevance of polar research among different countries and particular societies that are rooted in the tradition, history and geographical settings. Due to the 100 th anniversary of regaining independence there will be a wider presentation of case studies from Poland. The scientific conference and workshop will be devoted to: (1) presentation and discussion of state of art of interdisciplinary scientific knowledge about social relevance of polar research; (2) brain-storming new ideas, that through excellent studies and well-designed outreach could boost the significance of polar research in contemporary societies in different parts of the world; (3) developing a network of institutions interested in establishing closer cooperation on societal relevance of polar research and preparation proposals to international funding programs. The language of the meeting is English, authors of presentations are encouraged to present their contributions as papers in peer reviewed journals and in Springer thematic book. Meeting is estimated for some 50 participants. All persons who are interested in, to present contribution or take part in the discussion, please email the abovementioned committee members.